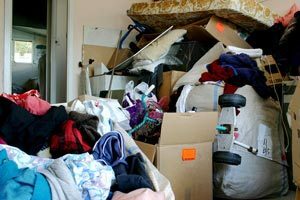 While many individuals affected by hoarding may feel individualized and different than everyone, there are millions of lives affected throughout the country. But unfortunately for them, their living conditions jeopardize their safety, creating fire and slip-and-trip hazards as well as perfect conditions for mold. But RestorationMaster is available to provide professional hoarding cleanup services in the St. Charles, MO area. Our technicians take a compassionate approach to hoarding, working with patience and respect with the affected individual. 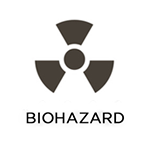 After removing unnecessary items, disinfecting, and deodorizing the home, we will restore a safe and healthy environment. 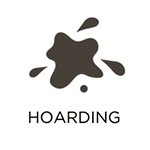 A hoarding cleanup service involves more than just removing the unnecessary items and disinfecting the property; the individual has developed a personal connection with each of their belongings. These can include anything from collectibles, newspapers, magazines, books, antiques, garbage, and even animals. 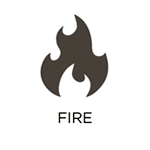 As these items continue to accumulate over time, the affected individual and everyone on the property face the risk of fire, mold, and severe injuries. If you have a loved one who is affected by hoarding, it is crucial to reach out to them right away for their safety. But it is important that you speak with them before reaching out to a cleaning service as they can feel betrayed before approaching them first. As soon as you have discussed the idea of a professional cleanup service, call RestorationMaster. Our technicians will work with your loved one, putting them in charge of the cleaning process and not disposing of any belongings without their approval. After all of the unwanted items have been removed, we will fully disinfect the home, removing biohazards and sanitizing building materials. 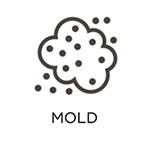 We will also remove any cases of mold growth if present, followed by deodorizing the home to restore a healthy living environment. Working with compassion and respect: Our technicians have years of experience working with individuals affected by hoarding. We will work with compassion and respect, putting them in charge of the cleanup process. Removal of unwanted items. We will work with the individual to organize and remove all unwanted items. Nothing will be thrown away without their approval. Disinfection: After all unwanted items are taken out of the property, we will begin to sanitize and disinfect the property. Our technicians use commercial cleaning products to remove bacteria, biohazards, and mold growth, if present. 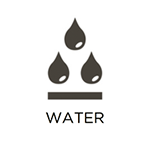 Deodorization: The property will be thoroughly deodorized to remove all remaining traces of the mess. Working with insurance: We will work with your loved one’s insurance company to ensure a seamless claims process. Review: Our technicians will schedule a checkup time to ensure that the individual is recovering well and that the home’s clean condition is maintained. 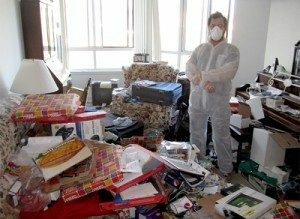 While removing unnecessary items and disinfecting a property from a hoarding disorder can seem overwhelming, it is crucial to speak with the individual about a professional cleanup service for their safety. With our services, you can expect that the home will be fully restored to its original condition with the permission of the affected individual. RestorationMaster is available at (636)492-3030 in the St. Charles, MO area to provide professional hoarding cleanup services. We work with insurance companies during the claims process.